Editor’s Note: This FAQ can be found in files section of the Naturalistic Paganism Yahoo group. 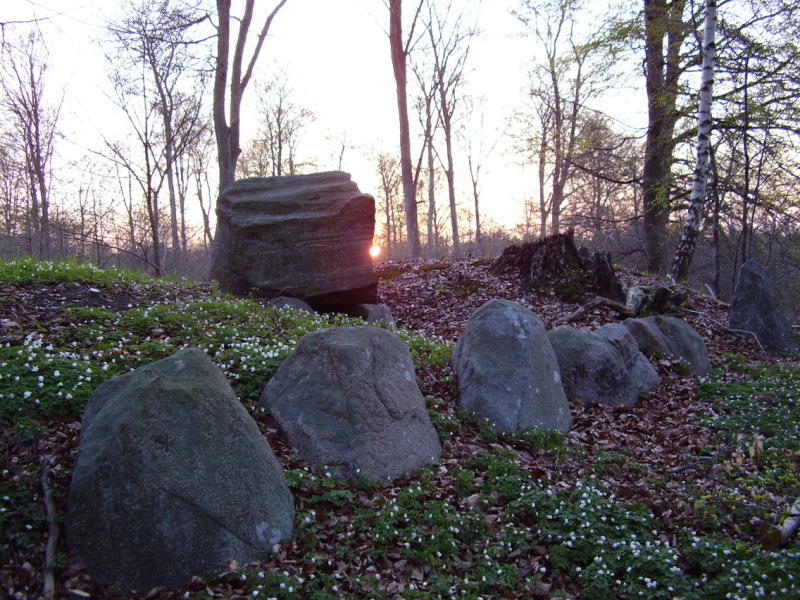 Neolithic monument in Denmark visited by Jon Cleland Host one spring. Q. What is Naturalistic Paganism? A. Naturalistic Paganism is the spiritual path which uses Pagan symbols, rituals, and ideas while maintaining a Naturalistic worldview. According to the dictionary: Naturalism (noun): The idea that the world can be understood in scientific terms without recourse to spiritual or supernatural explanations or supposed divine revelation. Q. What is a “Naturalistic Worldview” (what do Naturalistic Pagans believe)? A. It is an approach to existence based on the natural laws found by science, on observable evidence, and on objectively confirmable experiments. Because things like ghosts, gods, magic, dowsing, astrology, and spirits have not been shown to exist, they are generally not included in a naturalistic worldview. People with a naturalistic worldview include pantheists, agnostics, non-theists, atheists, freethinkers, humanists, skeptics, Universists, etc. This worldview is often arrived at by the approach of using objective evidence as the only reliable means to determine the truth. We don’t require anyone to agree to a rigid doctrine, but instead urge that everyone use reason, logic and evidence to critically test any belief. Famous naturalists include many of our founding fathers, such as Thomas Jefferson, Benjamin Franklin, Ethan Allen, and others such as Charles Darwin, Mark Twain, Bertram Russell, R. G. Ingersoll, Carl Sagan, Richard Dawkins, and many more. A. Paganism is an umbrella term for a large number of spiritual paths, which are usually Earth or Nature centered, focused on this life or world and often polytheistic. In the context used here for “Naturalistic Paganism”, Paganism refers to practices common in Pagan religions such as Wicca, especially the Wheel of the Year. The Wheel of the Year (along with the compass directions) can be used to represent many ideas. Q. Do Naturalistic Pagans make up the majority of Pagans? A. No. Most Pagans believe in things that are not part of a naturalistic worldview, such as reincarnation, literal gods, spirits, divination, etc. We don’t have data on the actual number of Naturalistic Pagans, but it appears to be small. That’s OK. We generally get along well with other kinds of Pagans. Since very few Pagans of any kind believe in a hell for those with the “wrong” religion, all of us are usually content to see our various tastes in religion the same way we see our various tastes in fashion — as ultimately unimportant. Part of the reason for the small proportion of Naturalistic Pagans could be the long spiritual path often needed to get to Naturalistic Paganism. Many of us have left Christianity for Humanism, and then only later added Paganism to enrich our spiritual practices (without changing our naturalistic worldview). Conversely, others of us have left Christianity to become Pagan, and then have become Naturalistic Pagan only after beginning to doubt the literal truth of the Pagan gods, just as we had earlier done in Christianity. Q. What holidays do you observe? A. Many of us celebrate the 8 holidays (Sabbats) on the Wheel of the Year (the solstices and equinoxes, plus the cross-quarter holidays). Because these are real astronomical events, they feel more like real holidays than dates made up by people. They also celebrate the Wheel of Life, with youth at Beltane and death at Samhain, etc., so I’m constantly reminded to honor and cherish all of my loved ones in turn, and to honor those who have died. Q. How do you celebrate those holidays? A. Many of us are just now working out how to celebrate them, if we choose to celebrate those eight at all. Many of the more common celebrations follow seasonal, evolutionary, or natural themes. You’ll probably find many of those very familiar, such as the coloring of eggs for Ostara or the Maypole of Beltane. Circle rituals can also be used. Q. Why did you call them “Sabbats” instead of Holidays? A. The word “Sabbat” comes from the same root as “Sabbath”, and means a day of rest. The word Sabbat is often used because the eight Sabbats of the Wheel of the Year are from the Wiccan religion, where they are called Sabbats. The words “Sabbat” and “Holiday” can be used interchangeably. Use whichever term you are most comfortable with. Q. But if your Naturalistic worldview doesn’t include a literal Goddess or God, then are you really Pagan? A. Well, that’s for each of us to decide on our own. We’ve found Paganism to be very tolerant of diverse religious views. After all, we Pagans all see the Gods a little differently. We respect those who see the gods as real, and we’ve been respected in return. Naturalism & Paganism are both focused on this life and this glorious Universe, so for us, they fit together well. Q. But how can you take part in Pagan rituals if your naturalistic worldview doesn’t include gods or magic? A. Because we can see them as fun and useful metaphors, like “Jack Frost nipping at your nose…”. If we insisted on only literal truth in everything, we’d be a pain to be around, and our lives wouldn’t be much fun. We’ve found the Pagan metaphors add fun and color to our lives. Q. What political party do Naturalistic Pagans belong to? A. Naturalistic Paganism is not about politics, though having a naturalistic worldview usually means that Biblical (or Qu’ranic or other scripture based) instructions don’t persuade us. We don’t have data on the political views of Naturalistic Pagans, but I would guess it is similar to that of others with a naturalistic worldview, such as many scientists, Humanists, freethinkers, etc. Q. 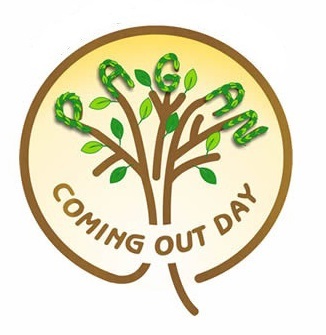 Do Naturalistic Pagans condemn homosexuality? A. Because a person with a naturalistic worldview bases his or her morality on reason and compassion, and not on what other people have written down, the condemnations of homosexuality in the Bible or Qu’ran are not significant. Views may vary, but will be based on real world evidence of harm or other scientifically verifiable data, and not on dogma or creed. As such, Naturalistic Pagans are likely to be more accepting of homosexuality than someone with a morality based on the Bible. Q. Do Naturalistic Pagans believe in God? A. That depends on how you define “God”. If you mean “some kind of order or process that pervades the Universe”, then maybe (after all, even the force of gravity fits that description). If you mean a literal personality with whom you can intelligently discuss your date last night, such as the Roman god Zeus, or the Hebrew god described in the Bible, then no. However, any of these gods can be seen (and even invoked) as a metaphor for something real. For instance, a Naturalistic Pagan scientist may offer a prayer to Prometheus, seeing Prometheus as a metaphor for the human drive to discover, but not as a literal personality. Ultimately, of course, that the answer to that question will vary from person to person. A. The question is based on an assumption that we don’t share (the assumption that one needs to be “saved” from something). Because a naturalistic worldview doesn’t include anything without testable evidence, most Naturalistic Pagans don’t believe in a heaven or hell, or often even any kind of afterlife. So there’s nothing we need to be saved from. Q. What if there really is a hell? Shouldn’t you be Christian just in case? A. This reason for being Christian is known as Pascal’s Wager, and has been shown to be an illogical approach for a number of reasons which are too numerous to list here. However, a short and simple reason to reject Pascals wager is that of other religions. Islam claims you have to be Muslim to avoid hell, while many Baptist churches claim you must be members of their church to be saved, while the Roman Catholic church asserts that there is no salvation outside their church, etc. You can’t logically be simultaneously a member of each of these while refuting all the others. So if hell exists you’re pretty much screwed anyway. In fact, I could state “I’m in charge of hell, and I’ll cast you there unless you pay me $5 right now. Isn’t a paying a measly $5 better than the chance that I’m right?”. I hope you would know better than to pay me. Q. How do you view the Bible? A. The same way we view the Qu’ran, the Gita, and other revealed scripture. We see these as works of humans that contain both good and bad. As with any other book, it takes reason and logic to decide what to agree with and what to ignore. Please don’t try to convince us of the inerrancy of the Bible. Some of us may be more knowledgeable than you are concerning the Bible, and the many problems with the Bible have been pointed out for hundreds of years. A good primer on these problems is the classic “The Age of Reason” by Thomas Paine. Q. How can you be moral with a Naturalistic Worldview? A. Before answering, let me ask that same question of you. Why are you moral? Is it because your parents or a teacher told you to be moral? I hope not, since blindly following someone means that our morality could be wrong. (Imagine following the morality of, say, Stalin.) Is it because you are afraid of some divine punishment or seek some divine reward? If so, then does that mean that you are actually immoral, but are afraid to do what you want? Are you moral because you want to be like someone you admire? If so, then would you be immoral if that person was immoral? OK, so then why am I moral? Because I value other human beings. Because it is the right thing to do. Because I want to be moral. Because I can logically imagine what it is like to be treated immorally, and I wouldn’t wish that on anyone. I don’t need a threat to keep me moral. Morality is a self-evident logical position. I don’t need detailed instructions. Morality can be summed up by the principle of life ownership, which is “the person who lives the life is the person who owns the life”. So taking part or all of someone’s life is immoral, since they own it. Other Naturalistic Pagans may have other ways to work out their own morality. That is just one approach. Q. Is Naturalistic Paganism some new crackpot religion? A. You can decide that for yourself. Just like any living religion, it has ancient roots and modern branches. Many of the ideas in Naturalistic Paganism have been around for millennia. For instance, many Pagan practices, such as celebrating the Solstices and Equinoxes date back at least 7,000 years, and possibly many times that. Naturalistic views bloomed into their modern form three centuries ago during the Enlightenment, and early forms of Naturalism are found in Greek philosophy, over 2,500 years old. Our ancient Pagan Ancestors (such as those who built Stonehenge or the Goseck circle) celebrated our Universe using the most advanced knowledge they had available at the time. We do the same, and now the most advance knowledge we have is that of science. Q. Are Naturalistic Pagans weird? A. Well, one can decide for oneself what “weird” means. We are normal people like you meet every day. We come from many walks of life. We are fathers, mothers, students, wives, husbands, scientists, computer programmers, laborers, Europeans, Americans, sisters, brothers and neighbors. We feel a connection to our Earth, indeed to the Universe. Is that very different from most spiritualities? Q. What about spells and magic(k)? A. A Naturalistic worldview means that only things with verifiable, testable evidence are believed in, and that generally eliminates a belief in magic. However, magic spells do serve to make a desired outcome more real in one’s own mind. For instance, before a track meet, a Naturalistic Pagan may conduct a ritual spell to help them focus their intent — kinda like wearing a lucky shirt. Spells are not understood to cause a real change in the world other than in the mind of the participant. This view of spells is different from that of many other Pagans. Q. Is their a local Naturalistic Pagan coven I can join? A. Because this approach is quite new, there aren’t established local groups. There may or may not be in the future — who knows? However, this approach is similar to other naturalistic approaches such as pantheism, spiritual humanism, and others. Also, Naturalistic Pagans often fit in acceptably well in eclectic Pagan groups. This is because even a ritual with supernatural names can be interpreted metaphorically, and because Pagans are often accepting of various types of Pagans, including Naturalistic Pagans. 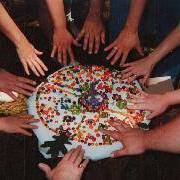 Eclectic Pagan communities are appearing, such as CUUPS groups at UU fellowships. Q. I’d like to learn more about Naturalistic Paganism. Where should I start? A. There are few books explicitly about Naturalistic Paganism yet. However, you could start by learning about a Naturalistic worldview, and then learning Pagan practices, and seeing these practices metaphorically. For more information, check out the Naturalistic Paganism Yahoo group. In addition to writing the Starstuff, Contemplating column here at HumanisticPaganism, Dr. Jon Cleland Host is a scientist who earned his PhD in materials science at Northwestern University & has conducted research at Hemlock Semiconductor and Dow Corning since 1997. He holds eight patents and has authored over three dozen internal scientific papers and eleven papers for peer-reviewed scientific journals, including the journal Nature. He has taught classes on biology, math, chemistry, physics and general science at Delta College and Saginaw Valley State University. Jon grew up near Pontiac, and has been building a reality-based spirituality for over 30 years, first as a Catholic and now as a Unitarian Universalist, including collaborating with Michael Dowd and Connie Barlow to spread the awe and wonder of the Great Story of our Universe (see www.thegreatstory.org, and the blog atevolutionarytimes.org). Jon and his wife have four sons, whom they embrace within a Universe-centered, Pagan, family spirituality. He currently moderates the yahoo group Naturalistic Paganism. This is a very interesting and illuminating FAQ about how one can be a naturalist (non-theist) and a pagan at the same time, and fits very well with my approach to druidry. Thank you for this. I only half jokingly call myself a poly-deist, since I have some thin tendrils holding me just outside the non-theistic crowd. But I don’t think any possibly divinities do anything in the human sphere (aside from possible inspiration, mayhap) –and I wonder if reincarnation isn’t just a ‘no energy is created or destroyed’ measure in the natural world of consciousness? But aside from those two items, I fall much more inside the naturalistic paganism criteria. And (sigh) right now, I am so tired of witnessing the harms that several kinds of religion unleash in the world, that I want to run away from it all. I’ve been wrestling and wrangling my thoughts on how I define my druidic beliefs. Arguably, I don’t *have* to actually define anything but I find it does help sometimes. These FAQs explain a lot of what I believe in a really cohesive way.